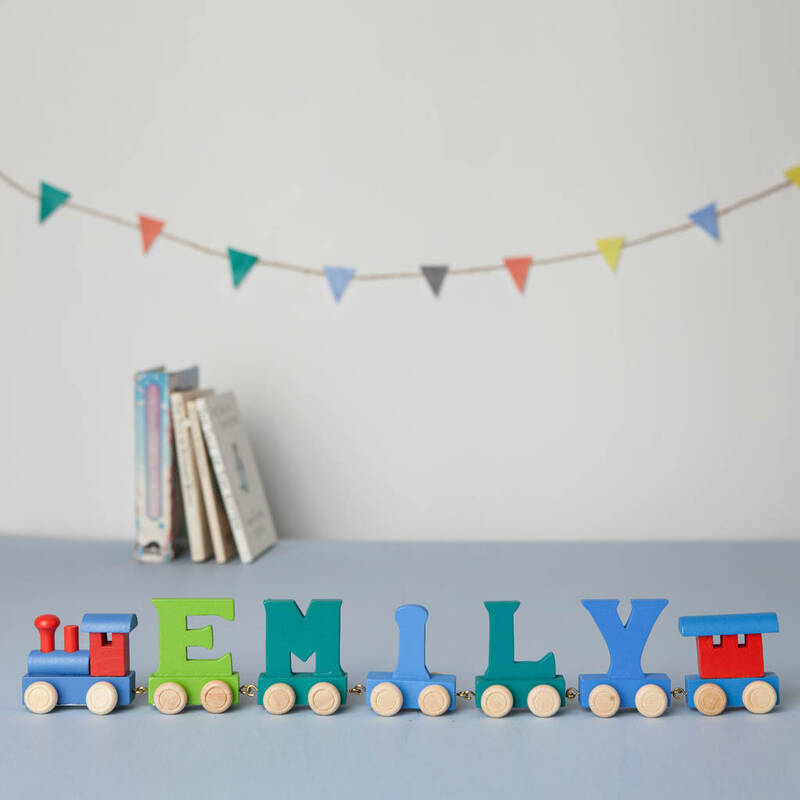 A beautifully made wooden train in fabulous multi-colour! 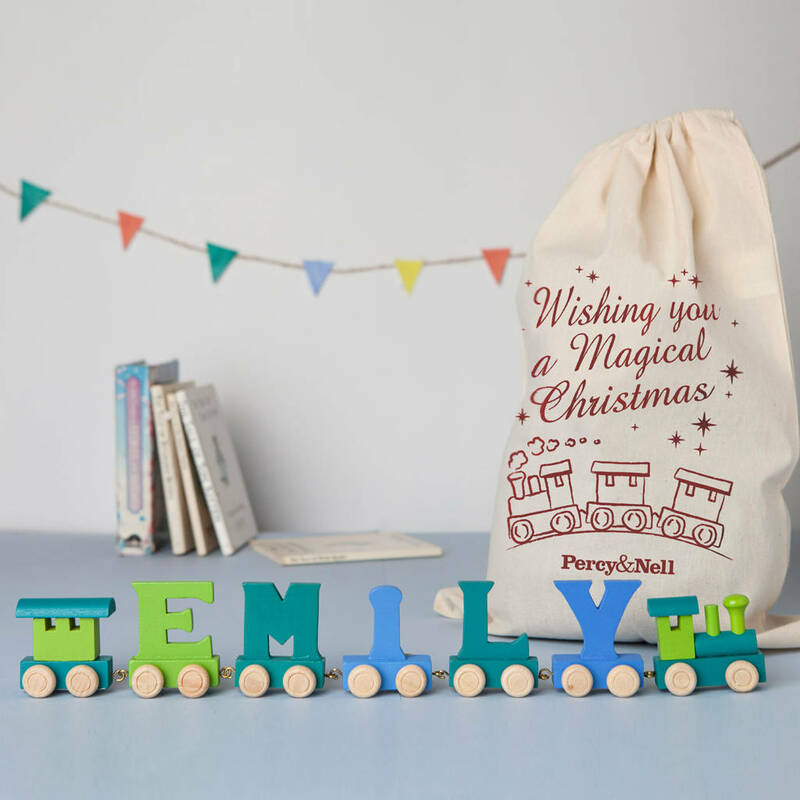 Add your child's name or special phrase and the train will be on its way to you! 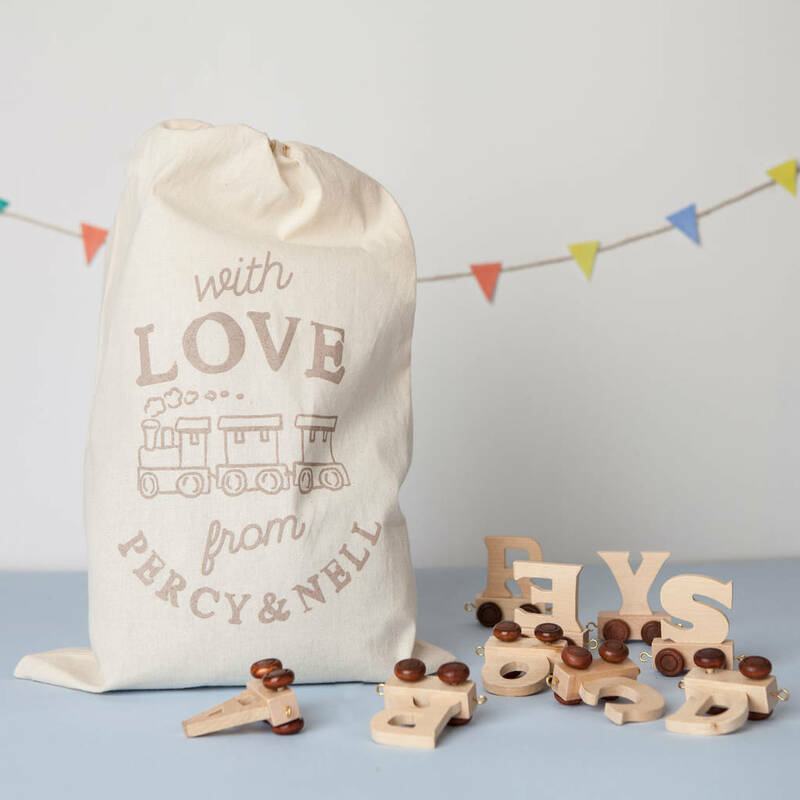 This splash of colour combined with the gorgeous wood makes a refreshing alternative to the natural wood trains. 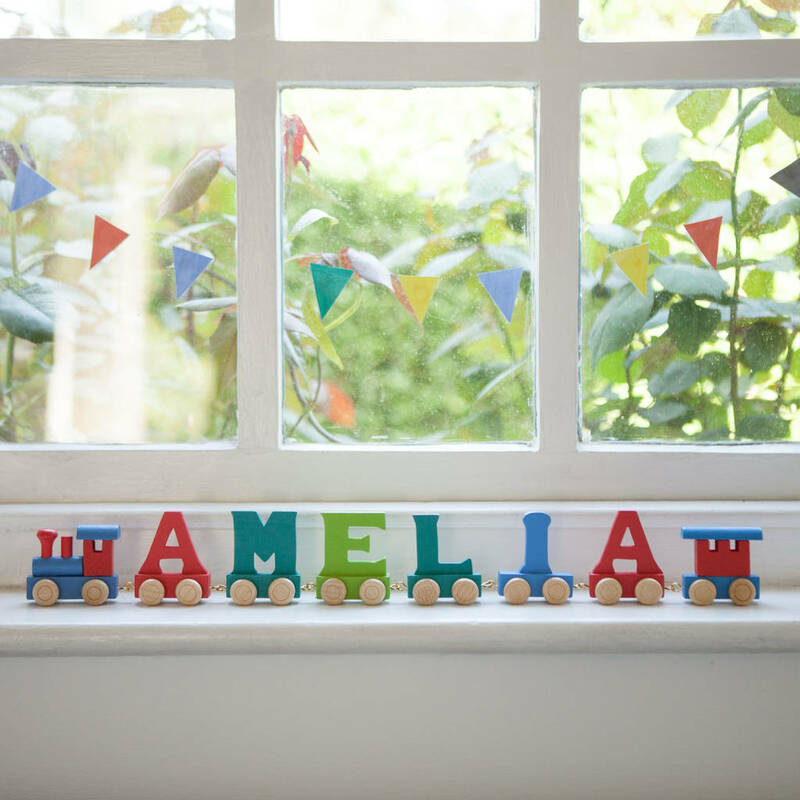 Bright, bold and fun this gift will brighten up any nursery. Please note, colours of letters vary from blue to red, orange to green and these colours are set. Your train won't necessarily be in the same palette as the one pictured but it will be equally lovely. 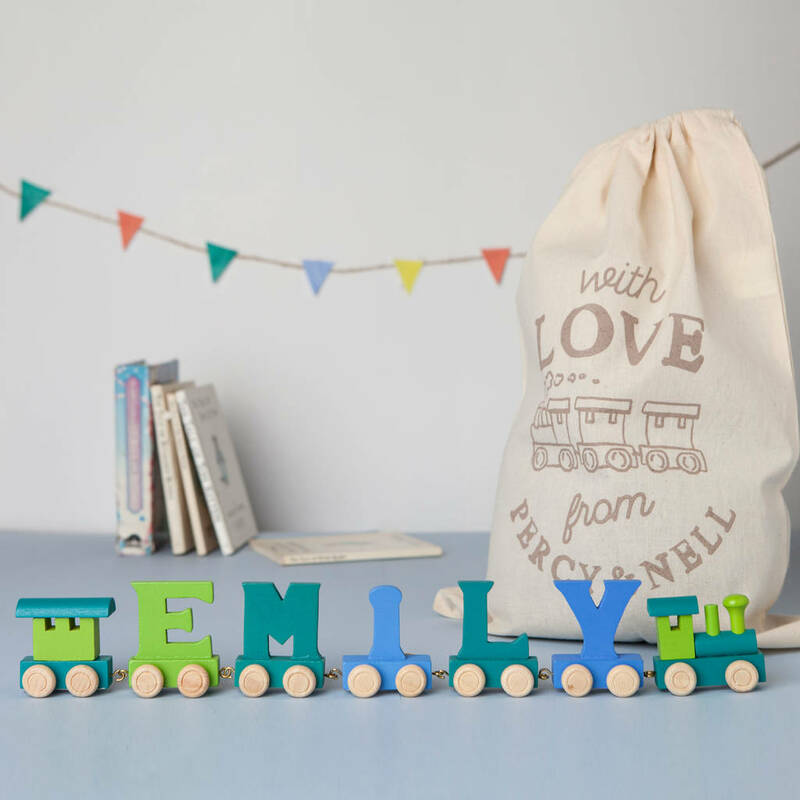 A fabulous gift for any newborn, a great birthday or Christmas gift and a lovely keepsake our wooden trains are beautifully made. 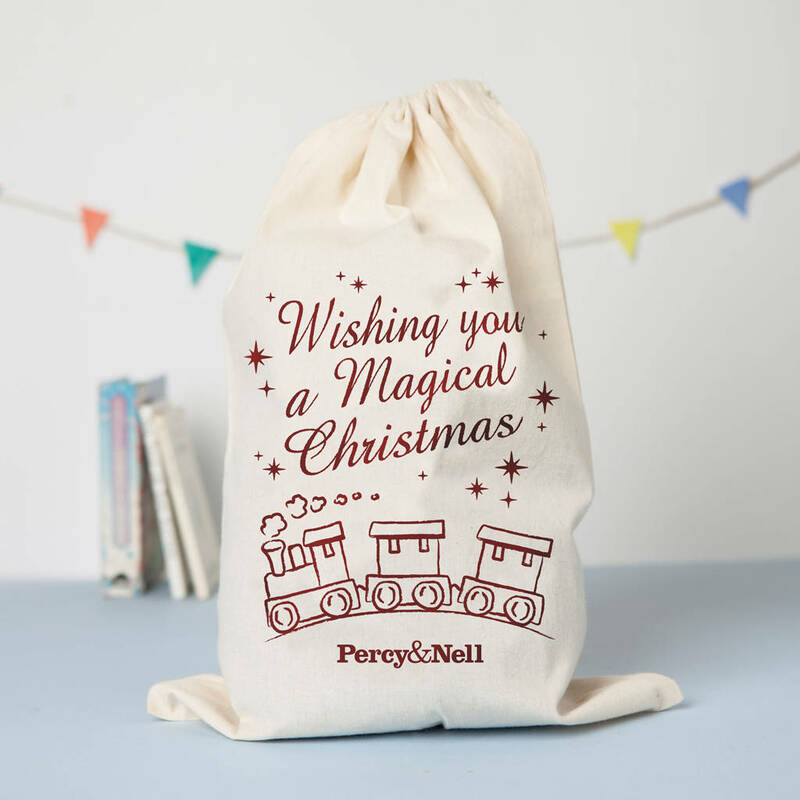 We have a beautiful specially designed train gift bag to make your present even more special! 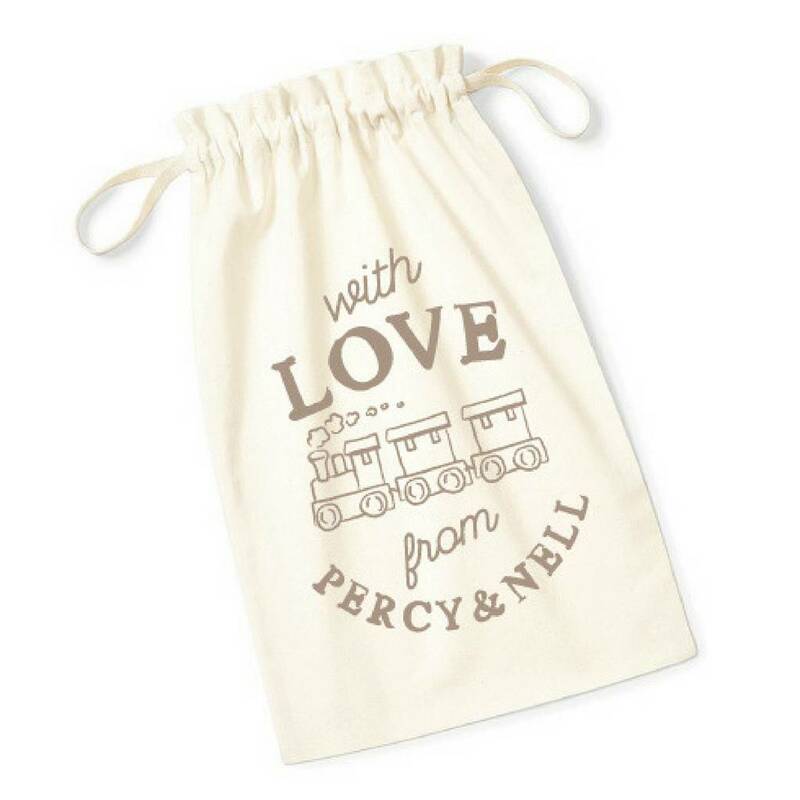 It also doubles up as a perfect storage or travel bag if you wish to take your baby's train on a trip - possibly even a train yourney! 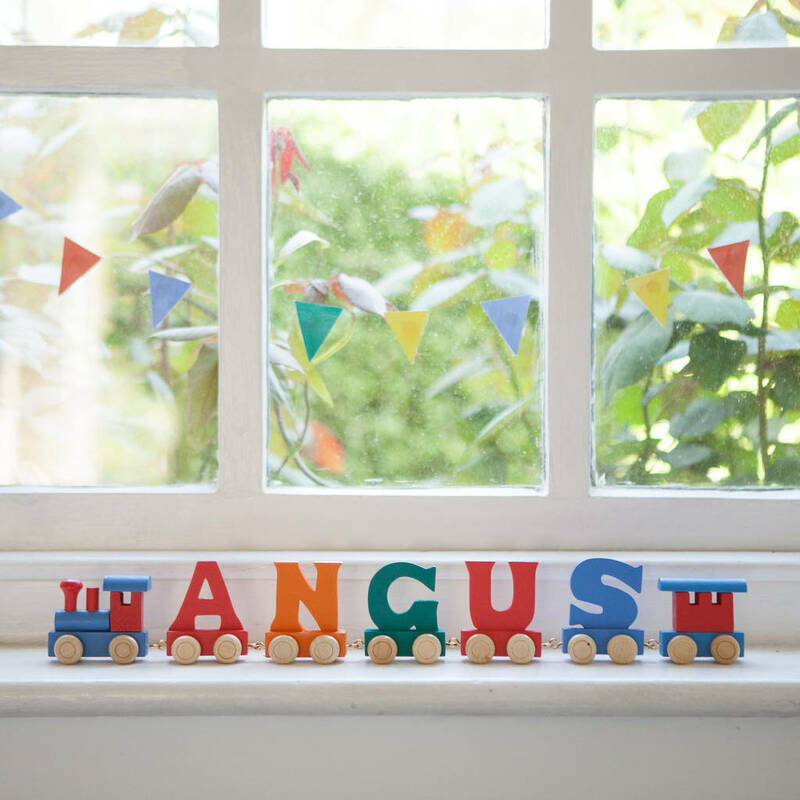 Please note, colour combinations can't be requested as the letters are already painted in set colours. Each letter is around 8 cm high.